From My Front Porch To Yours: A New paint & A Reveal! A New paint & A Reveal! I was so excited last week when I got my hands on the new chalk based paint called La Craie by the Maison Blanche Paint Company! These colors are just fabulous ( color chart from their site) and when I saw them I thought that they looked familiar. I contacted Annie, yes another Annie, to get the low down. Annie H. teamed up with Autentico Paint Company over in the UK to bring La Craie here to us in the Us! I had seen Autentico paints back in the spring and was in love but at the time they were not here in the Us. I just love how pretty the cans are! This color is called Le Bonne Terre and is so pretty. I would say it is a cross between AS Old White and Old Ochre. It looks more creamy than the color chart. I did some samples to show y'all because I purchased a sample of Wrought Iron as well to see if it was a true black. The longer pieces are the colors with no wax and the shorter pieces are with clear wax. As you can see Wrought Iron is pretty much a true black!! I was excited to see that. I wanted to see just how this paint compared to my other beloved paints so I pulled out a project that has been patiently waiting in the garage. Here is the full before. I decided to take the mirror apart instead of keeping it as one piece. La Craie is thicker than the other chalk based paints out there which I like a lot. You can always thin it out if you need to by dipping the tip of your brush in some water. It went on as smooth as any other chalk based paint I have used and sanded out just as well too. I decided to make a new mirror with the side mirrors. I just attached them together on the back with brackets. 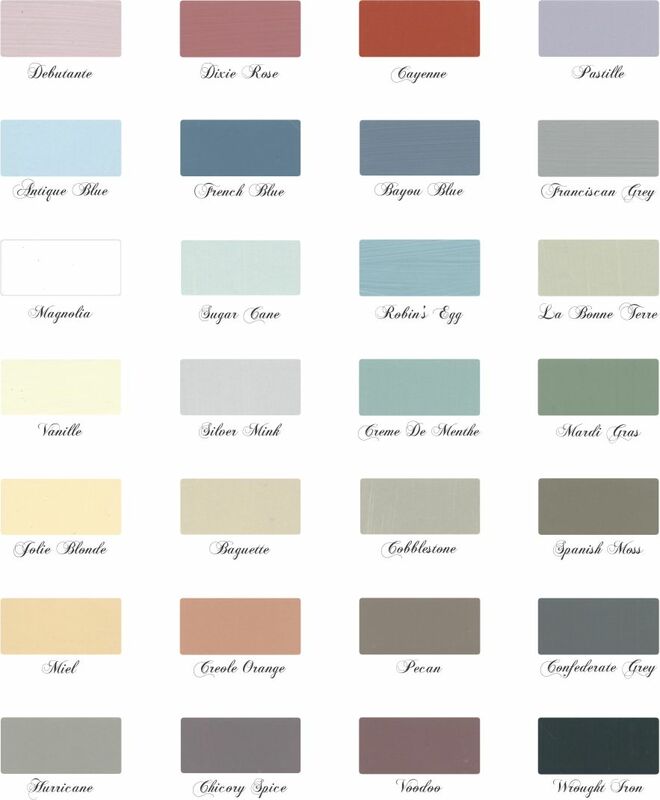 Yep, La Craie chalk based paint will be added to my paint supply for sure! The Maison Blanche Paint COmpany does not have the paint on their site yet to sell. They are still working on the site but if you go to their FB page you can find retailers where you can order it from. My local retailer has not even had a chance to get it on her site yet either. It runs $38.95 a quart. And just in case anybody wants to know this is an UNSPONSORED post. Just my two cents about a fabulous new paint! :) I am working on teaming up with my local retailer for a giveaway because I liked it so much so stay tuned! I have to set up a give away page first though since that will be sponsored. Looks like the project went quite well. I see several great colors in that collection. Glad to see more chalk paints out there...how much is a quart of it? Your mirrors look great and thanks for sharing with us at Nifty Thrifty Tuesday. We must definitely think alike. I few weeks ago I had the same type of mirror that I found in a garage sale and I also took it apart. 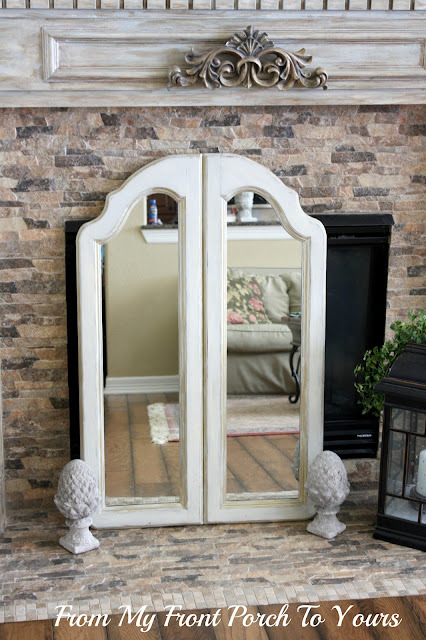 I used the two side pieces to flank both sides of my tv mounted above our fireplace and the middle section now sits in front of the mirror in our bathroom! I love how you put them together! They made a great looking can and website. Except for the fact that they forgot the price list lol.. That makes me wary, as I'm sure it will many who go there. The cans are SO pretty...I'm such a sucker for good marketing...the colors look fabulous! It looks great, the colors are beautiful! Such charming packaging and the colors look beautiful! I think Debbie at Debbidoos was wondering where to get this paint the other day... wonder if she read your post! It looks like they have some lovely colors, Pamela! Love their labels! I am getting some more of the Old White for a couple of projects I hope to get to at some point. It's good to know that this one is close to it. It will be amazing if anyone comes out with a chalk paint for under $30.00. Glad you liked the paint...I have not seen that paint before...seems like it runs the same in price as ASCP...I certainly think I would try it!..Love the way you placed the two side mirror together...great look...! Thanks for sharing Pamela, I have yet to try chalk paint. The mirror looks great. You always have such great ideas. Thanks for getting the word out Pam! I'm as well a retailer for Maison Blanche La Craie Furniture Paint in the Houston area. Pam, I'm so looking forward to teaming up with you for the giveaway!!! I know who ever wins the contest is going to love this paint. We have all colors in stock. We are in the process of updating our site with La Craie paint. We should have everything on line by tomorrow July 17,2012. We ship everywhere in the US and we offer flat rates. You can order La Craie on my website @www.ncfstudio.com or calling the studio @ 832-478-5236. Or you can visit Maison website to find a retailer close to you. Now let's paint something with Maison! Oh that's just marvelous! I have a similar mirror, but square and I've never known what to do with it! But I sure never considered taking the center out! I'm pinning this so I can remember! Hey there Pamela this looks fantastic I am really drawn to the color chart very very nice your piece turned out great. 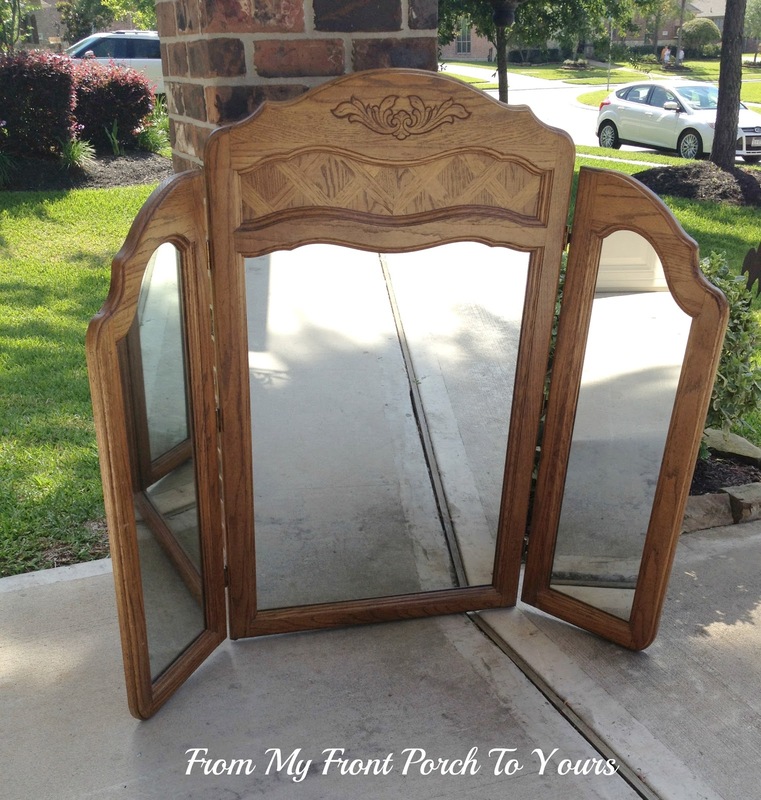 Such a great review, Pamela ... your mirror turned our fabulous, too! And, what fun (and dangerous) that there is a new chalk paint to try! Pamela I have never heard of this paint. So glad I stopped by so I could learn about this! Your mirror turned out to be a really stunning piece! Your project would be perfect to share at TUTORIALS TIPS AND TIDBITS, my new weekly linky party! It is live every Wednesday evening at 8:00. Come on over and join in! Great to know and hear about a new chalk paint! Clever use of the side mirrors, too! Looks great! Take a glance at the subsequent discussion to work out why it's helpful to rent knowledgeable for this job. In the initial place, a home painting professional are ready to persevere with the task with a lot of ease, potency moreover as skilled approach, for more information click here pressure cleaning palm beach gardens.